In order to achieve a more objective testing method across the macadamia industry, it was determined that testing methods need to be standardised. 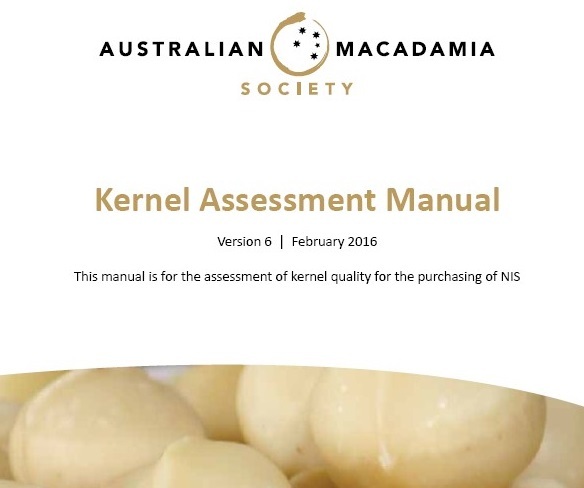 With this objective in mind the kernel assessment manual was developed as an important reference and training tool for all AMS accredited kernel assessment laboratories. The manual defines premium, commercial and reject kernel and the different types of disorders that occur within these grades. The classification of kernel into these grades is based on a visual and sensory evaluation.